I’m baaaack… so now I shall post! Hey there! You may not remember me but about a month ago I made an intro post on the blog. The reason you all haven’t seen me post much is due to the fact that from the time I made that intro post to Sunday May 18th, I was finishing the planning for my wedding. Well the wedding happened on the 18th on a most gorgeous day on the beach and I am now a happily married woman. So on that note I decided to mark my return with a wedding related post. I was perusing Etsy and found this lovely little shop called 100original. 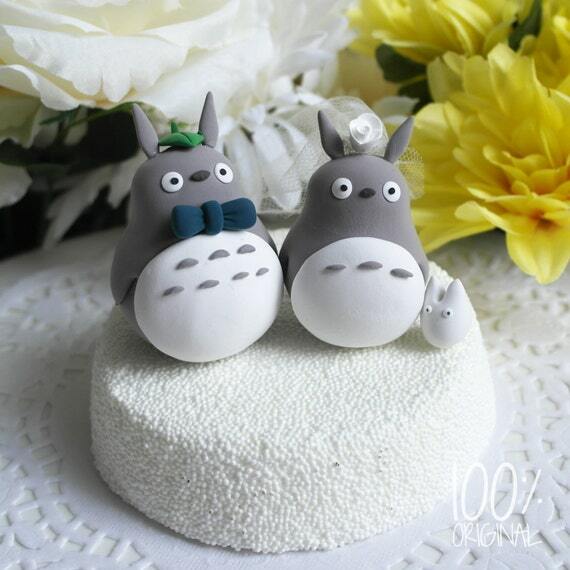 The artist Hara Kang hails from New Zealand and makes the most adorable wedding cake toppers. Some of them may not be strictly geeky but she does have a handful featuring favorite characters from movies and video games. My wedding was fish themed and my Matron of Honor made my cake topper but had I planned a geeky wedding I certainly would have considered having her make a custom wedding topper for me. 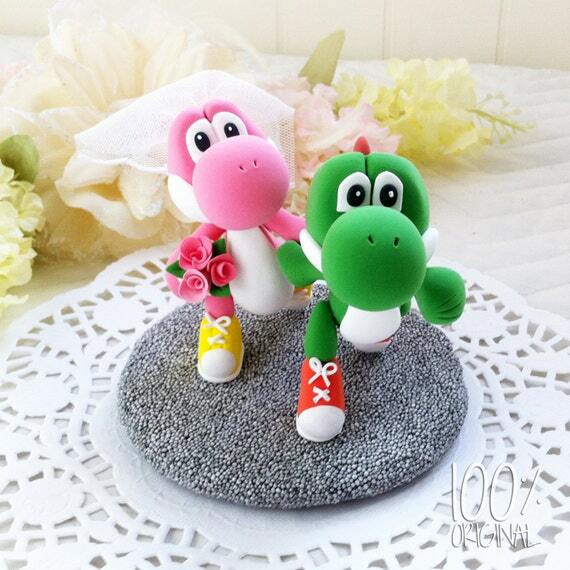 This Yoshi one is super adorable!